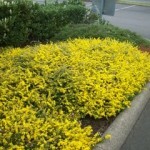 A low, spreading groundcover shrub with bright yellow flowers in the spring. The twiggy branches are green, giving the plant an evergreen appearance. 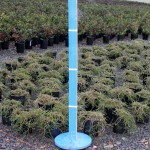 It is tolerant of drought and poor soil. Does best in a well-drained site with full sun. 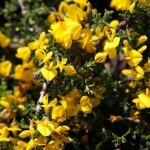 Plant in large groups, or near the top of a rock wall to tumble over the edge.